Did you know that a high proportion of sheltered housing needs updating? That’s right… More than two thirds of all sheltered housing are in the rented sector and most of it hasn’t been touched in the last century. 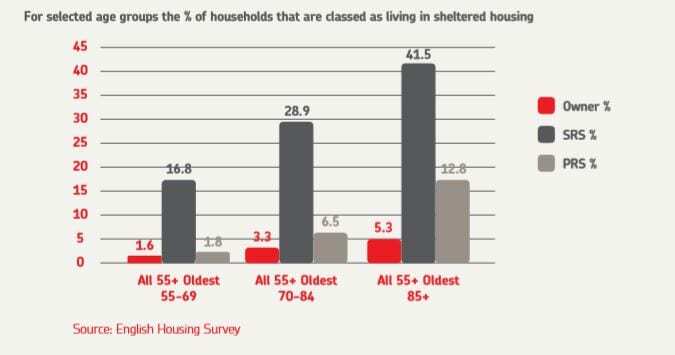 Over 40% of social housing tenants over the age of 85 live in sheltered accommodation and that number is certainly set to rise within the next 10-20 years. Unfortunately, what these homes suffer from is a lack of personalisation, a lack of user-friendliness and they all seem to have the same layout and features, in order to save money. However, one bathroom does not fit all as a wise man once said… personalisation is required for different clients depending upon their age, health status and ideal conditions. Incorporating design features for those with dementia and visual impairments, as a high number of the elderly population are affected by these ailments, landlords will have to make their bathrooms and kitchens accessible.